Summer vacations are meant to create rich memories that will last a lifetime. What better than creating some by camping amidst bountiful Nature? Check out the top 10 adventure camps for your kids. Camping imparts essential life skills to our urban kids who are used to a luxurious living and a lot of hand-holding in many aspects of life. 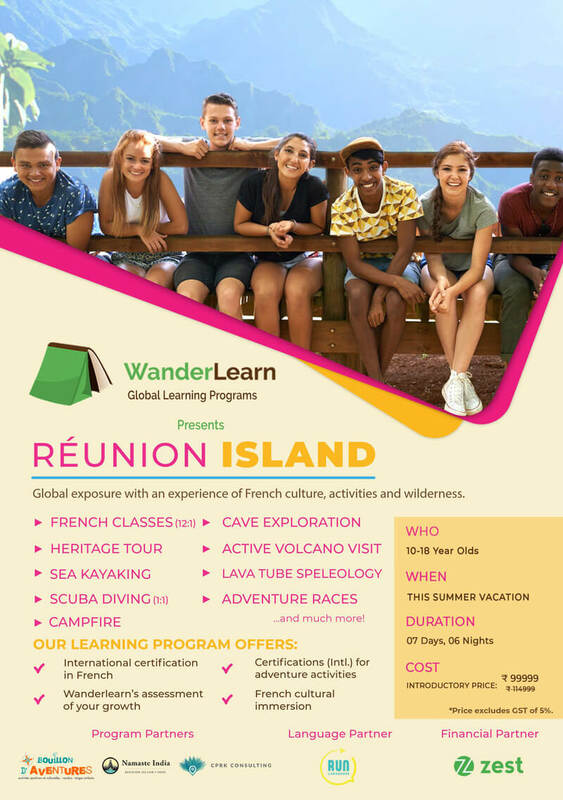 Adventure camps will expose them to living a life with just the basic necessities, introduce them to the beauty of untouched Nature through the wondrous flora and fauna and learning to make the most of the available resources and circumstances. Such experiences equip a child with survival skills, develop a sense to trust the gut and follow Nature’s guidelines towards leading a meaningful life. Give your kids this unique gift this summer. Choose from among the best adventure camps curated for you. Note that many of the organizers have multiple camps apart from the ones curated here. So, be sure to check out our complete list of adventure camps. 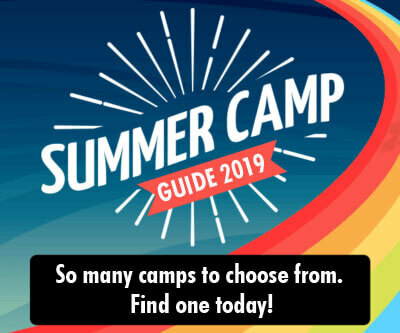 *Disclaimer: BuzzingBubs would like to inform parents that these are summer camps we are recommending based on the businesses listed with us. We do not help with procuring registration slots for any of the camps here nor are we personally affiliated with any of the organisers who have listed their camps. We do not conduct any summer camps of our own. Please reach out to the respective camps for details on enrolment, available slots and registration details, if any. Happily Outdoors is back with its nature-based education programs for kids. 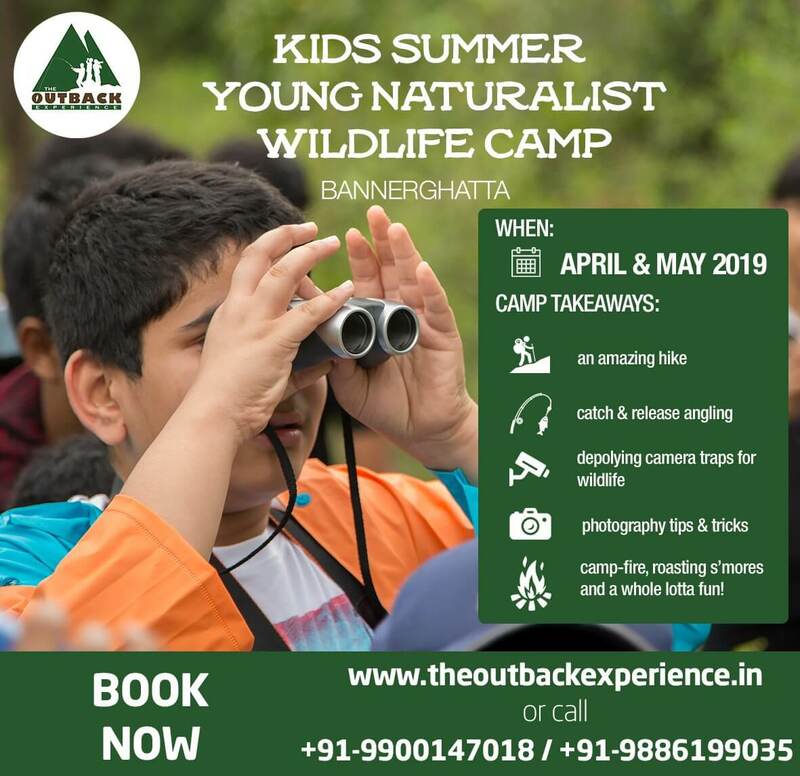 This 6-day outdoor learning camp aims to develop nature-connectedness among children. 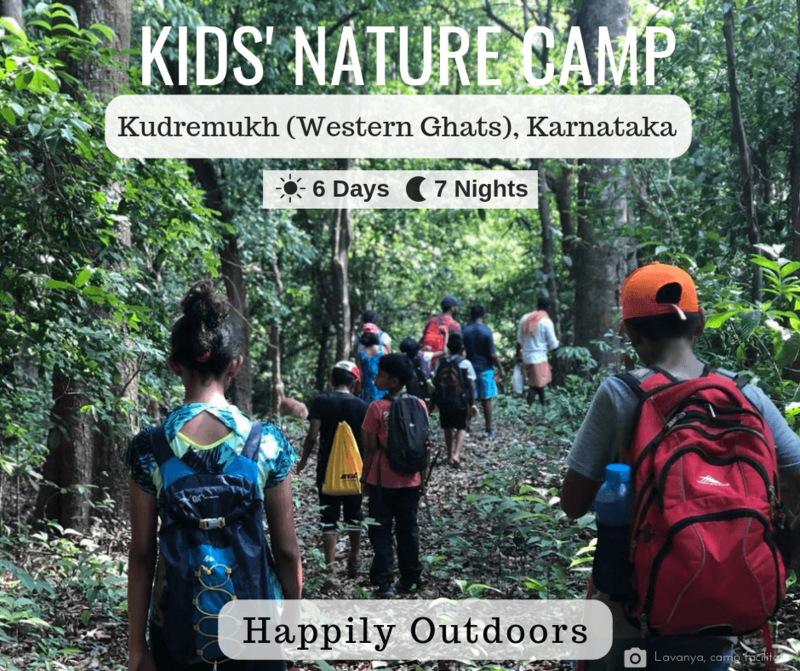 The activities at the Happily Outdoors Kids’ Nature Camp are aimed to provide a holistic learning and fun experience for children to help them think and live sustainably and work towards creating a better environment around them. 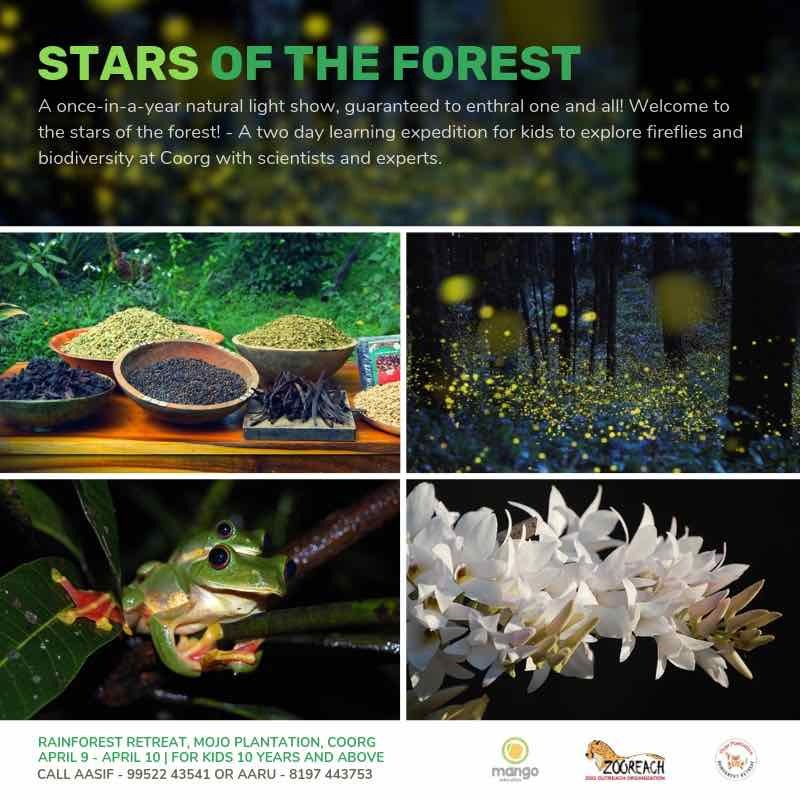 Stars of the Forest is a wildlife learning expedition to Coorg where kids witness and learn about Fireflies and the biodiversity at Coorg. 5 Dads, go camping with your kids! Father's Day might be over but who said celebrations must end. This camp is a perfect chance for all dads to spend some quality time with their kids in the lap of Nature. Hurry, register soon! 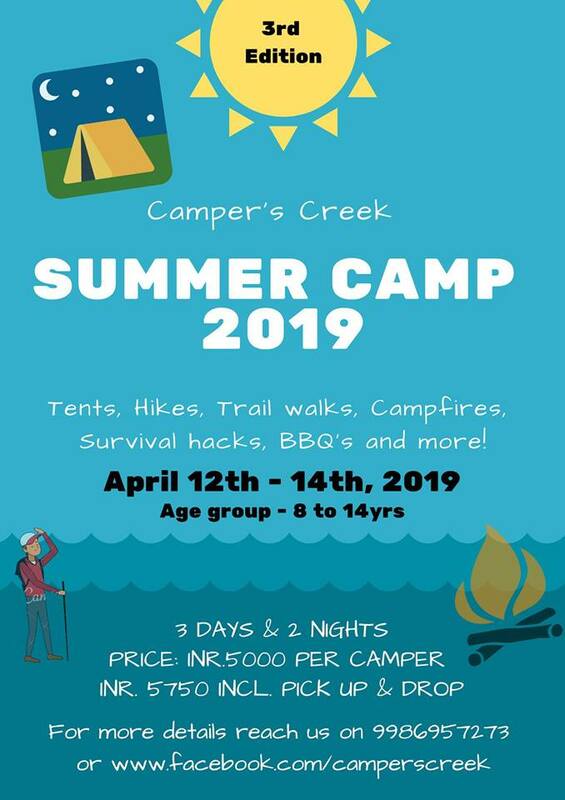 This summer, Camper's Creek is back with the third edition of its summer camp, this time with more adventure and learning. 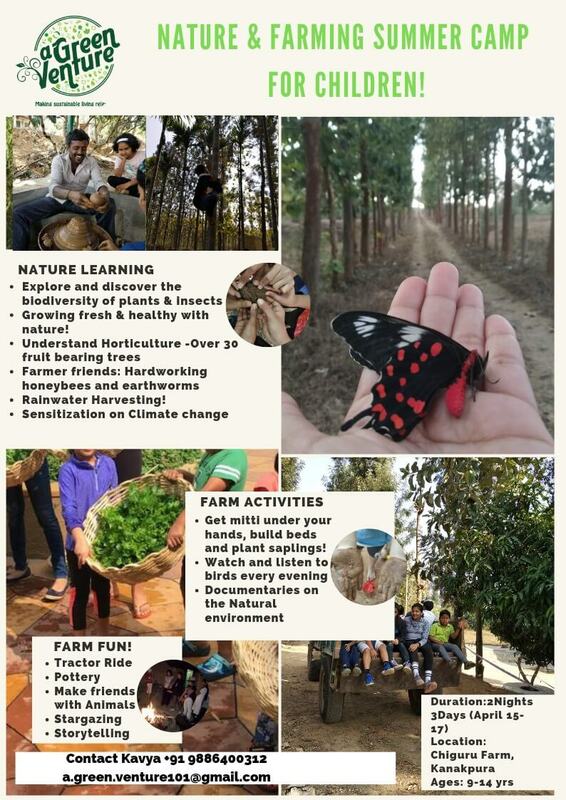 Kids will get to explore nature, enjoy a farm life, work on conservation activities like seed bomb making, seed bombing, going on trail walks, treks and staying in tents. 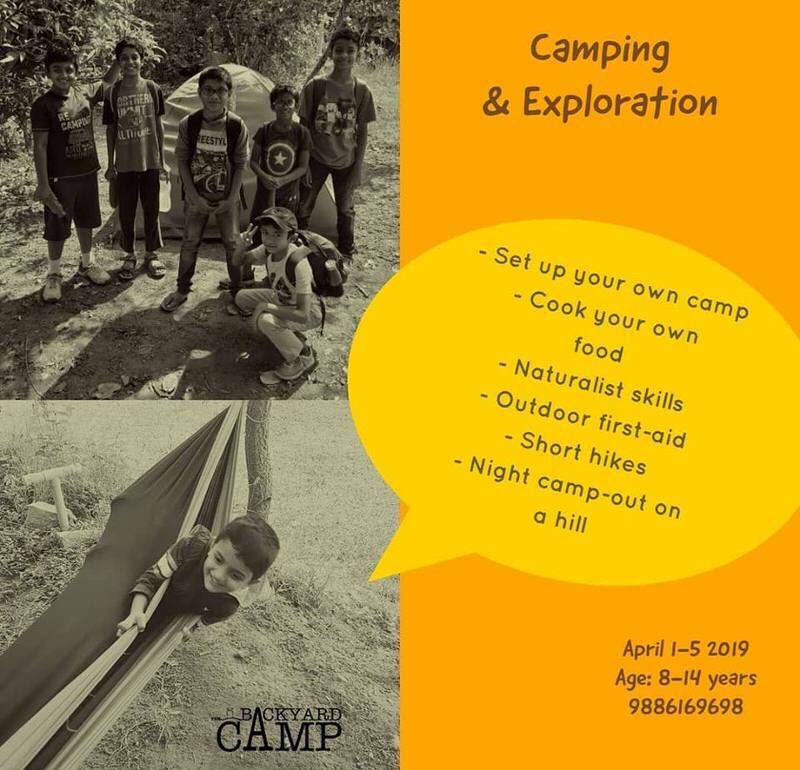 Backyard Camp brings to you Camping & Exploration Summer Camp where children discover their abilities, boosts confidence, tests one’s endurance and opens up an exciting world of new possibilities. Children will reside at a property that is home to native trees, farm animals and a large orchard, an ideal place for some adventure! While they get busy with a bunch of activities, they will gain insights on survival skills and unlock a few secrets of the forest. This trip promises a wholesome experience in a natural setting! Attention budding photographers! Here's a camp that will enrich your passion. 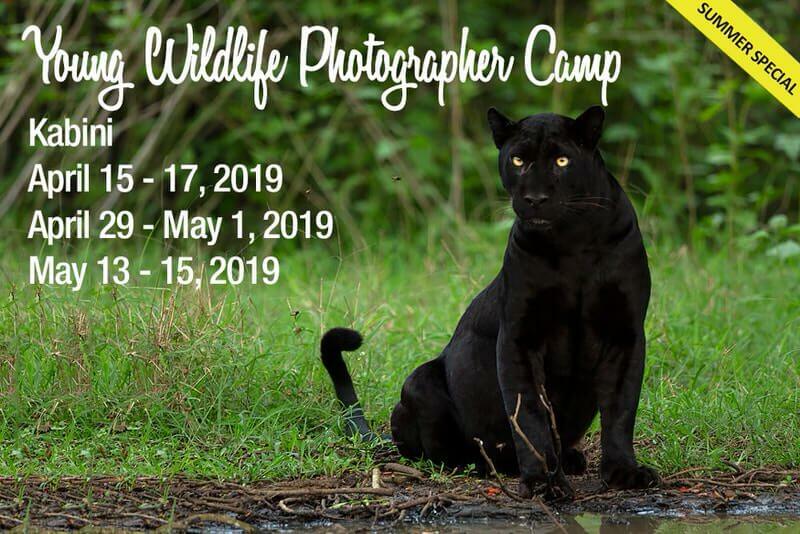 Spot and capture the big wild cats, rare birds and other species in the natural reserves of Nagarhole in the best camera angles with the efficient and capable team of The Outback Experience. Batches in April and May. Also, check out the parent-child camps and the photography workshop at Bannerghatta by The Outback. 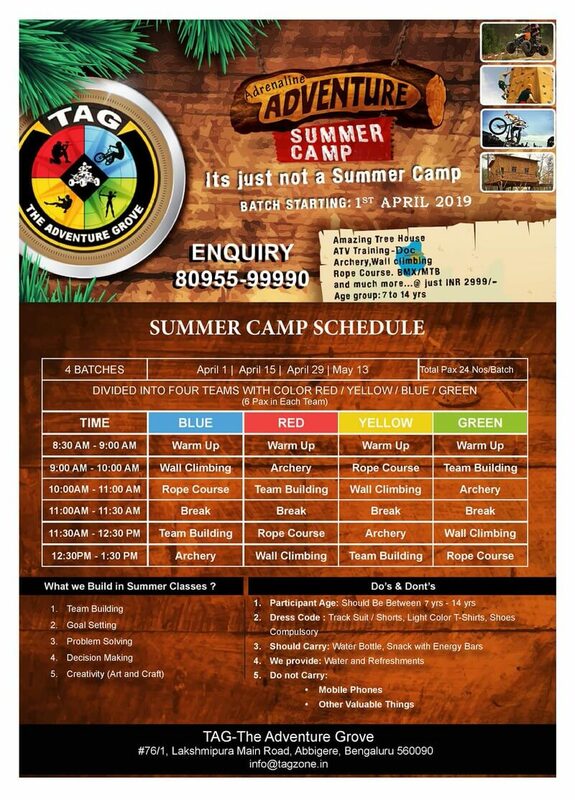 TAG The Adventure Grove is hosting the 2nd edition of Adrenalin Adventure Summer Camp. Children can independently learn sophisticated skills of Team Building, Goal Setting, Problem Solving and Decision Making. 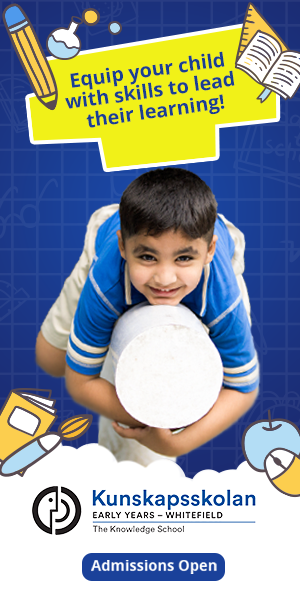 Moreover, they get to experience and enjoy a fun-filled and an energetic summer! 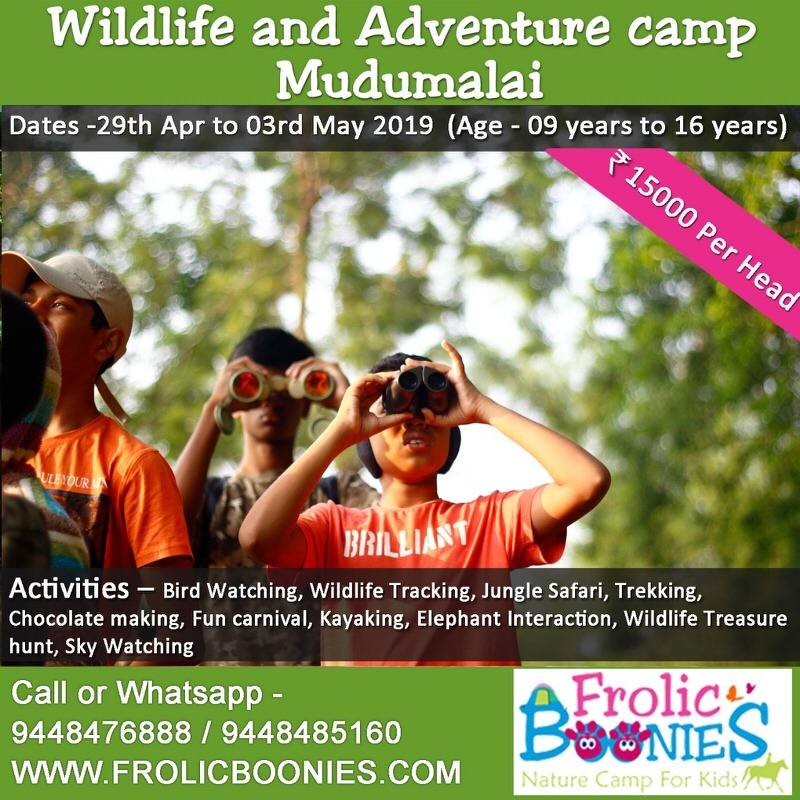 Frolic Boonies brings to you Bandipur Mudumalai Wildlife Camp of kids 6 years and above. The campsite located next to Mudumalai National Park, surrounded by evergreen forests and stream. 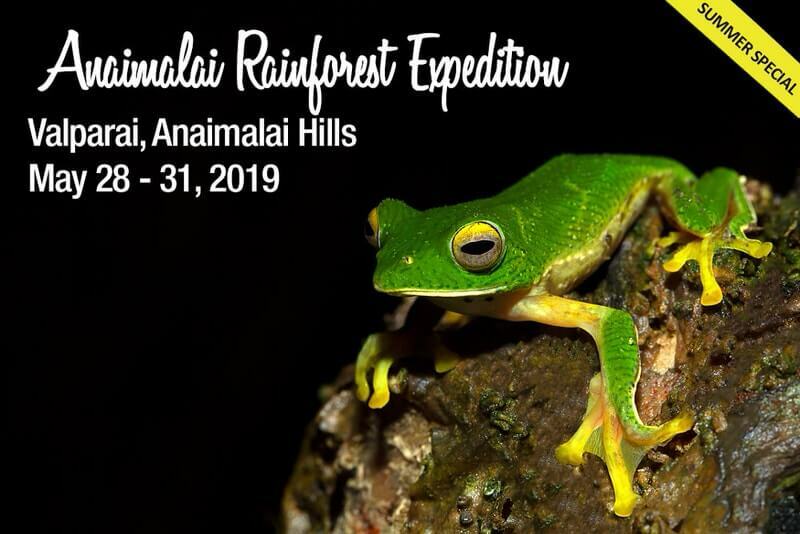 Children will be engaged in a variety of fun filled activities such as jungle safari, trekking, studying wildlife from up close, sky watching, bamboo rafting, kayaking and more. 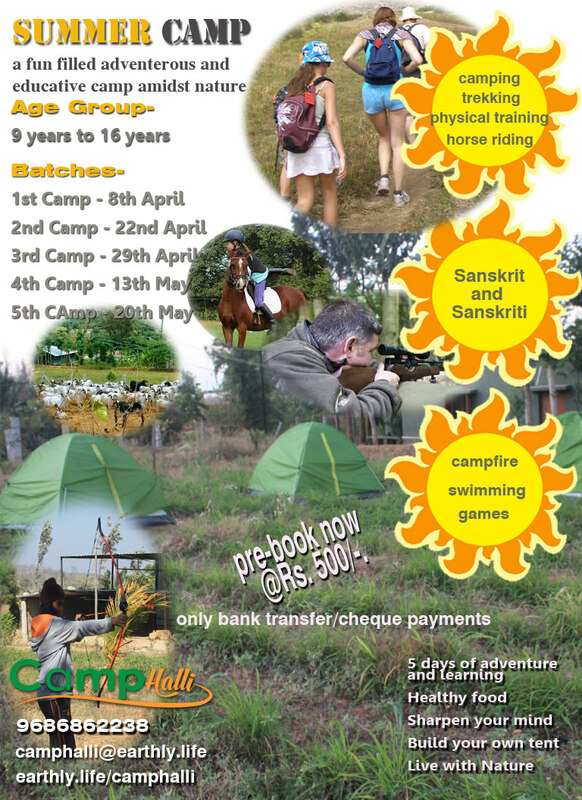 Camphalli is organizing a fun filled, adventurous and educative camp amidst nature. Gear up for 5 days of adventure and learning. Live with the nature, sharpen your mind, enjoy some healthy food and build your own tent at Camphalli Summer Camp! A Green Venture is organizing Nature and Farming Summer Camp. This 3 nights - 4 days camp is full of outdoor learning and nature loving activities for your children.